Home > Blog > What is the Stock Market? Do you often hear about the Stock Market on the news and in the papers? You know it’s very important for the country’s economy but the concept remains abstract to you; don’t worry, you aren’t alone! This article will help you understand what the Stock Market is and who knows it may even make you want to invest in it! WHAT DOES THE STOCK MARKET ENTAIL? When we talk about the Stock Market, it is sometimes difficult to really understand what it is about. To someone outside of the business it is true that the notion is quite abstract. To companies a lot less. To keep it simple, think of the Stock Market as a financial market. In this financial market, company shares are exchanged each day. You are no doubt asking yourself what is the objective of companies that are quoted on the Stock Market? In actual fact it is not very complicated: they sell their shares in order to obtain the finance needed to develop. In general, small companies are not quoted on the stock market and use the means of a bank loan to finance their development. The exchange of shares is a different strategy but that enables the company to obtain the same objective: invest and grow. SO WHAT IS THE CAC 40? If you follow the financial markets, you will have certainly heard about the CAC 40. Another notion that is difficult to understand for the uninitiated. The CAC40 is the index of the Paris Stock Market. It is no more and no less than a selection of shares that represent the French economy. The figure of 40 hasn’t been given by chance: it includes the 40 largest capitalisations of the Paris Stock Market. WHO DOES THE STOCK MARKET APPLY TO? Companies are the main parties affected by the Stock Market. Having said that, they are not the only ones authorized to buy and sell shares. 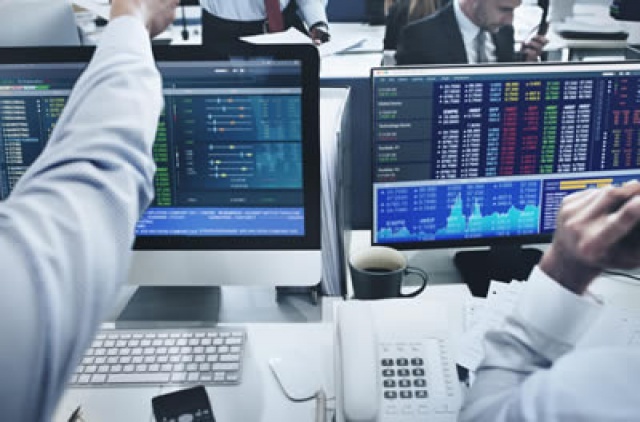 Banks, investors and financial establishments are also widely represented… As are private individuals who no longer hesitate to invest in the Stock Market. So, are you ready to invest in the Paris Stock Market ? We will explain to you how to set yourself off onto the stock market in future articles dedicated to the Stock Market.